Steven Handel studies the potential to restore native communities to many habitats, adding sustainable ecological services, biodiversity, and amenities to the landscape. He has explored pollination, seed dispersal, growth patterns, and most recently, problems of urban and heavily degraded lands. He works with both biologists and landscape designers, trying to improve our understanding of restoration protocols and applying this knowledge to public projects. Dr. Handel was trained first at Columbia College and then received his M.S. and Ph.D. in ecology and evolution at Cornell University. 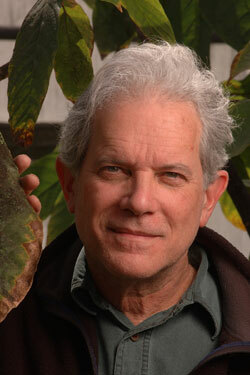 Prior to his appointment as a professor of ecology and evolution at Rutgers University in 1985, he was a biology professor and director of the Marsh Botanic Garden at Yale University. He currently is Director of the Center for Urban Restoration Ecology, a joint initiative of Rutgers and the Brooklyn Botanic Garden, dedicated to teaching graduate students and professionals, and conducting research on rebuilding native habitats and their biotic improvement throughout the region. Dr. Handel is an Aldo Leopold Leadership Fellow of the Ecological Society of America, and has been an editor of the journals Restoration Ecology, Evolution, and Urban Habitats. For his scientific achievements, he has been named as a Fellow of the American Association for the Advancement of Science (AAAS), of the Australian Institute of Biology, and of The Explorers Club. In 2000, he was awarded the Board of Directors Service Award by the Society for Ecological Restoration International. He works closely with the U. S. EPA to train environmental specialists in restoration principles, and with public agencies in the NY/NJ metropolitan region on habitat improvement protocols and needs in this highly fragmented area. In 2004, he was appointed to the State of New Jersey Invasive Species Council to recommend new public policies to halt habitat degradation. He has worked on the restoration of habitats in major urban areas, including the Fresh Kills landfill and new Brooklyn Bridge Park in NYC, The Duke Farms Foundation 2,700 acre holdings in New Jersey, the landscape for the 2008 Olympic Games in Beijing, and new public parks in Dublin, Ireland and in Orange County, California. The United States National Science Foundation, EPA, National Park Service, and many private foundations have supported his research work. Handel also has been an invited lecturer at over one hundred universities and ecology meetings throughout the world, to discuss the possibility of improving the environment in urban centers.